« Hong Kong Travelogue Part 1: Changing My Perception. When I was doing my foundation programme in MMU (Bukit Beruang), roti canai was our favorite go-to food. It’s cheap, can be ordered in various ways and more importantly, hard to go wrong especially when you’re in Melaka. I am not sure if my favorite stall is still around because it has been 10 years since I last ate there. But here’s one good enough to recommend and it’s called Gerai Roti Canai Yusman. 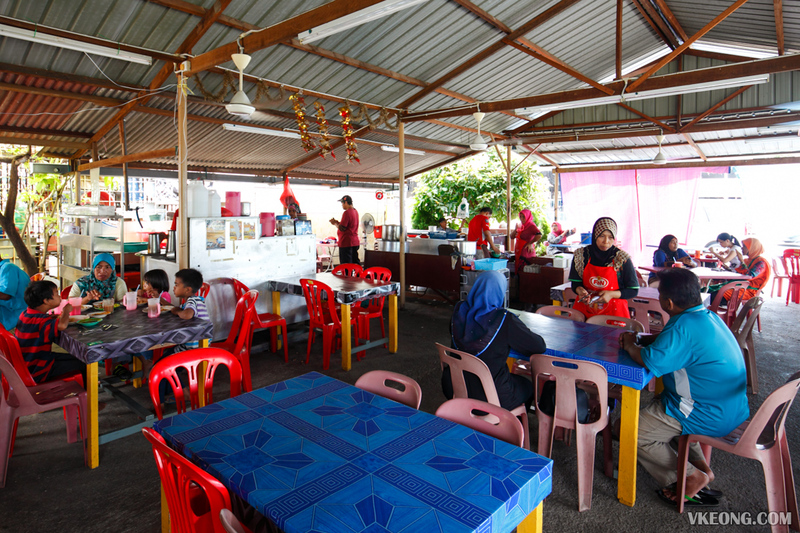 Yusman’s roti canai stall is located in Kampung Limbongan which is just another 2 minutes drive away from Tengkera road. 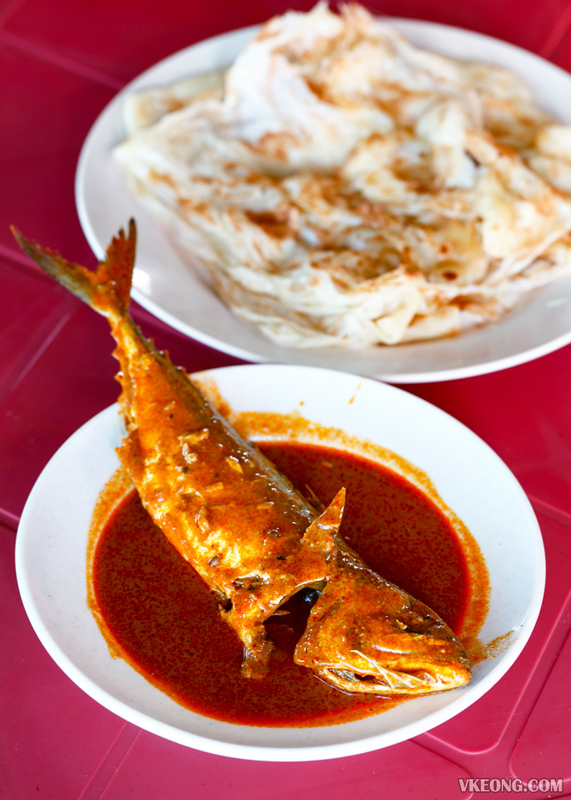 Their roti kosong is RM1/pc and comes with a curry of your choice, whether it’s mutton, fish, chicken or sambal sotong. The sambal here is the sweet kind but it complements the flavor of the curries well. 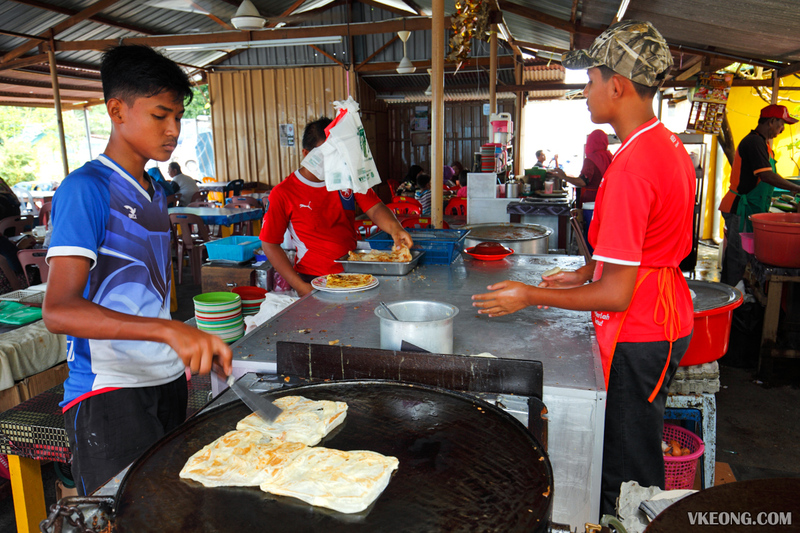 The roti canai here is soft and fluffy by default, but if you like it crispy you can make a special request for it. The moment the dough hits the fying pan, the entire stall is filled with an irresistible aroma. Even more so when they are making those with extra stuffing like roti planta, roti boom and roti telur bawang. While you are here you should also try their curry dishes. 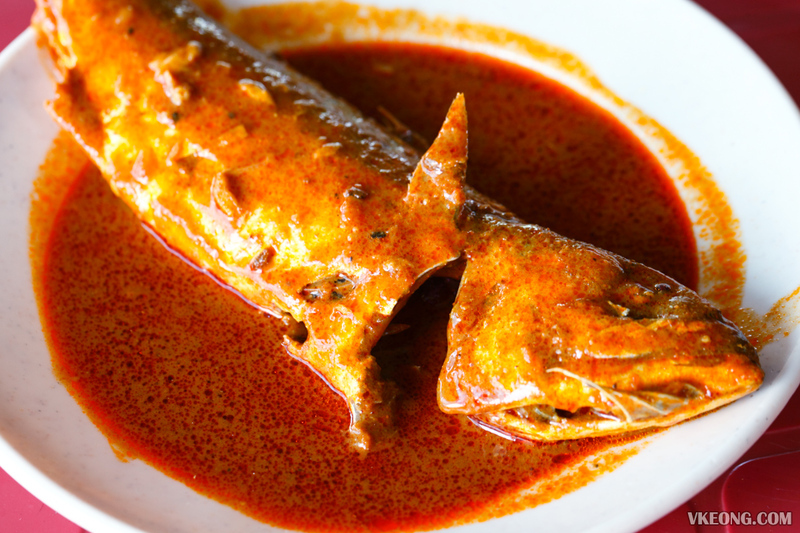 The mutton curry was unfortunately sold out so we settled for the second best option: mabong fish curry. It’s not exactly cheap, as it’s RM8 for a serving. I would still recommend it though, as the fish was fresh and cooked perfectly. The meat is tender and melts in your mouth while the curry is well seasoned with a rich consistency – so good we can drink it on its own. 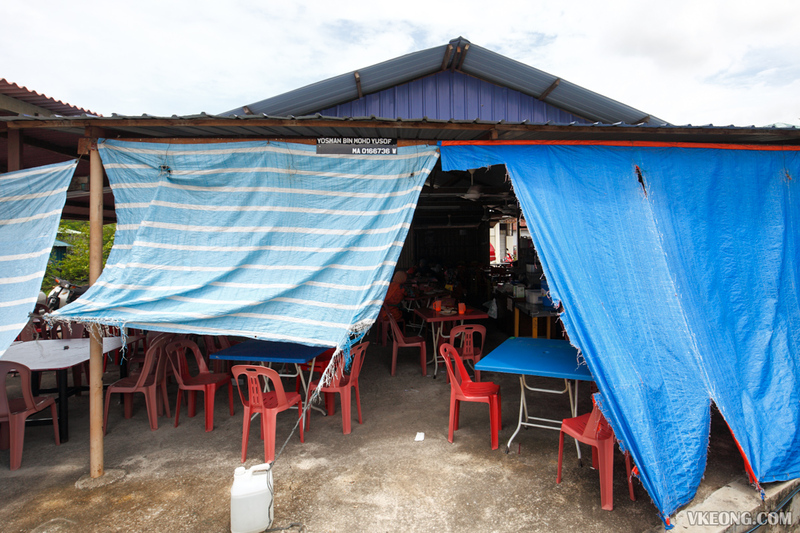 Yusman’s roti canai stall does not have a signboard so you will have to rely on your instincts to find the place. But you should not have a problem if you look it up on Google Maps. 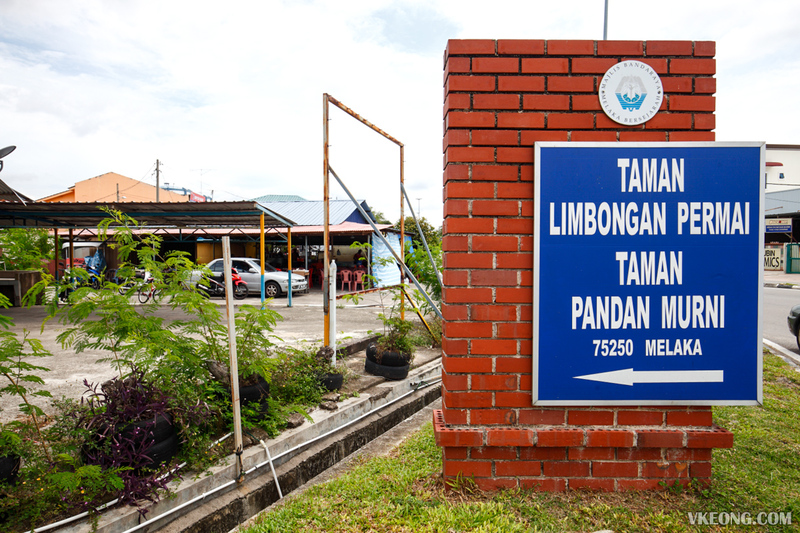 Some landmarks you can use include this “Taman Limbongan Permai” signboard (stall is directly behind it) or Pang Yong Enterprise, which is a tyre and battery shop just across the road. The post Yusman Roti Canai @ Kampung Limbongan, Melaka appeared first on Malaysia Food & Travel Blog.